With the LetraTag QX50 you can print a wide range of high-quality labels in different sizes and styles. You type using the familiar layout of a traditional keyboard. The QX50 can print on coloured, transparent, metallic and iron-on fabric tapes. 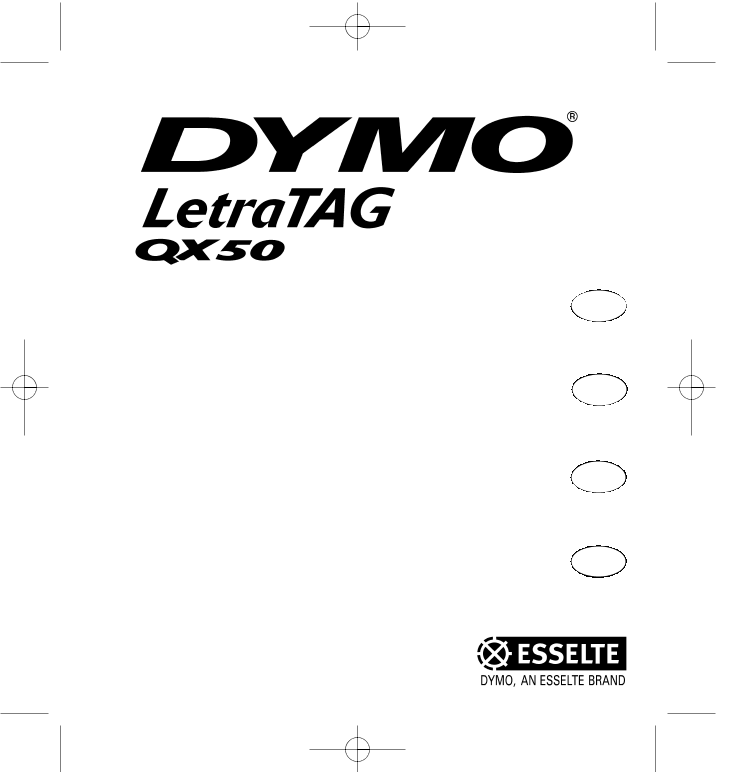 See the list of Dymo cas-settes available for the LetraTag QX50 at the end of this guide. 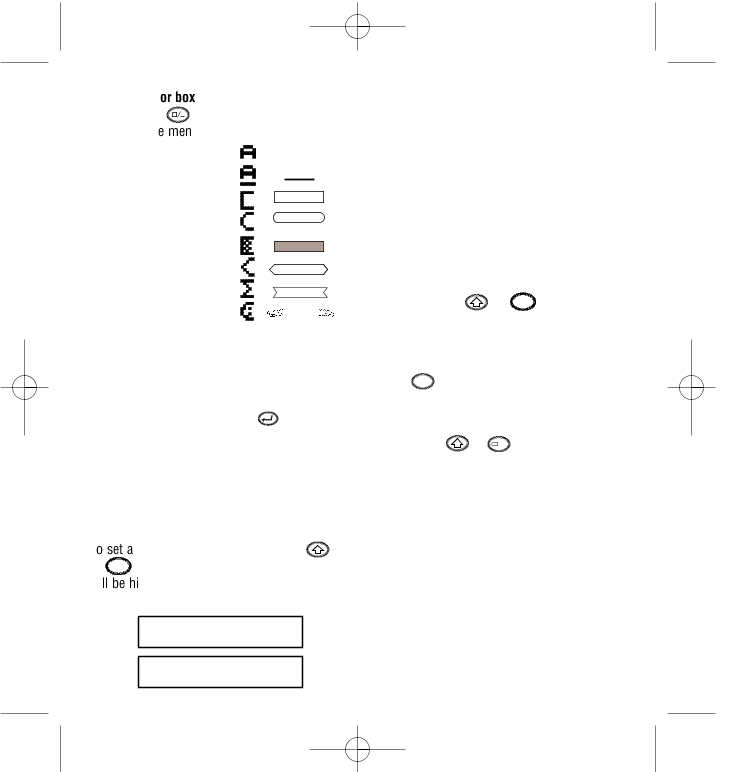 - Remove the battery cover (Fig A) - Insert five size AA alkaline batteries, observing the polarity markings. Start with the single battery in the upper slot, then slide the second and third under bridge. Slot in the fourth and fifth batteries and close the cover. - Remove the batteries if the Letra Tag is to remain unused for some time. Step Two - insert the cassette Press the catch to open the cassette door. 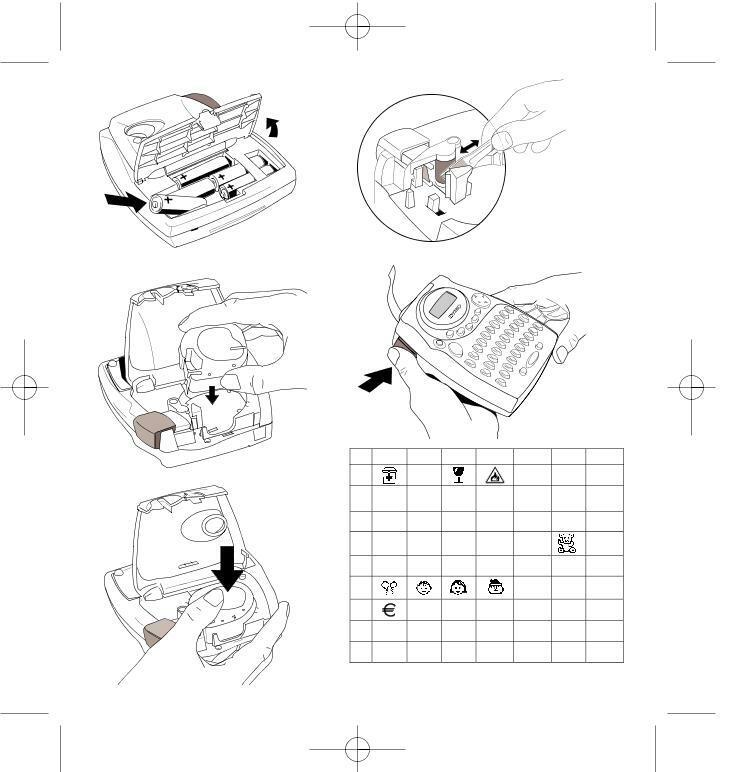 Insert cassette (Fig B) and gently press on the centre of the cassette until it clicks into place (Fig C). Check the cassette is correctly positioned before closing the cassette door. Step Three - switch on Press the red button to switch on. Note: the label maker switches off automati-cally after 2 minutes if no keys are pressed. T PressNIRPto print your label.  Use the cutter button on the left-hand side of the LetraTag to cut the label (Fig E). Congratulations ! You’ve just printed your first label ! Note: whenever you change the batteries, you will have to re-set the language. Typing labels The DYMO LetraTag QX 50 looks familiar: it has the same layout as a computer key-board to make typing labels easy. Extra characters LetraTag QX50 also stores a large number of extra characters (such as other letters or accented letters). It uses RACE technology, like a mobile phone keyboard. If you tap the same key repeatedly within a short time, you can scroll through a sequence of characters based on that letter. For example, pressing the E key repeatedly in the French-language version will scroll throughe - é - è - ê - ë. If you wait for more than one second, the character will be selected, and the cursor will move on to the next position. Example: Typeatwice, and the letteràappears. If you tap the key again within one second,á will appear. Pause for a second, and the letter áwill be selected, and the cursor will move on to the next position. The currency keyealso uses RACE to scroll through a number of currency symbols: e- £ - $ - ¢ ¥. -Note that the order these symbols appear depends on the keyboard version and lan-guage you have selected. Graphic symbols You can also insert a number of graphic symbols. To insert a symbol, press ( + SPACE). 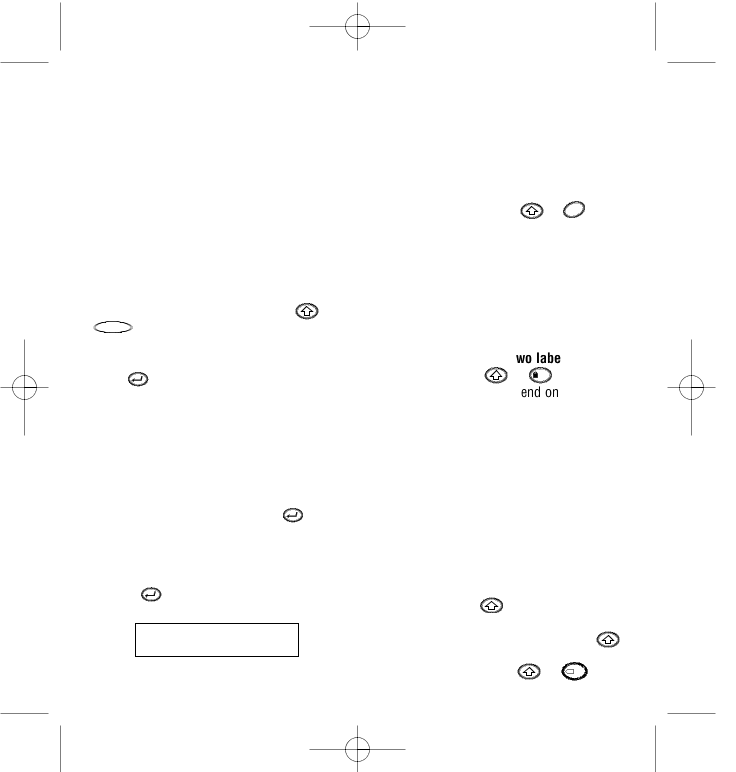 You can then scroll left and right, up and down through the symbol chart, using the navigation key. Press to select the symbol you want. If you have a telephone button on your key-board (only for Qwerty EU, Qwertz and Azerty keyboards), you also have fast access to the symbols on Row E of the symbol chart. Press thekey and the telephone symbol appears. Press the same key repeatedly and you will scroll through all the symbols on Row E of the symbol chart. Press to select the symbol you want. Text over two lines You can add a second line to your label by pressing . If the display showsAbc↵123, your label will print: Abc 123 The text will be centred on the label. Note that you cannot print two-line labels in certain formats (big font, vertical). If you try this, the messageError 6will alert you. Checking what you’ve typed The display will show eight characters of the text you have typed, plus the cursor. The PREVIEW function (press +TINPR) will automatically scroll through entire text of the label. You can also scroll manually through the label using theRandQarrows on the navigation button. If you want to edit the label, use the navigation button to move the cursor through the text to the place you want, then type or delete. Adding a break between t ls The --ll-- function ( +123 a ‘label) is break’. You can use this to e label’s text and start another. Storing text: the text buffer You can store up to 70 characters in the text buffer of your LetraTag QX50, in as many as 20 labels. These characters will remain in the buffer, even if you switch off. If you try to type when the 70-character memory is full, the messageERROR 4will appear. You will then have delete part or all of the text in the buffer in order to make a new label. You can quickly move to the beginning of the buffer by pressing +Q. You can use a wide range of formatting options to change the font style in your printed label, such as font size, bold, italic, boxed, vertical etc. The way you format these characters is shown by a combination of indicators above the text display. There are 7 display indicators above the text display. When one or more of these indica-tors is highlighted, it shows the relevant formatting option is active: CAPS Characters are typed as capital letters lQ-Rl Fixed length is enabled. BFThe label will be printed in Big Font style. ABC The label will be printed in a certain type of box. (Cannot be used with underlined text). STYLEThe label will be printed in a certain selected text style. 123Numbers are selected instead of the characters. ABC The label will be printed underlined. If you try a combination of formats which the machine cannot produce, an error message will appear. See error message list in Troubleshooting. You can use Narrow, Normal and Wide fonts in two-line labels, where they will be reduced to half their normal height. Move the cursor to the required size with the navigation key, and press to select. D DDD You cannot combine these different text styles, or use these styles with the big font setting. Move the cursor to the required style with the navigation key, and press to select. You cannot combine different underlining or box settings, or use them with the big font setting. Move the cursor to the required setting with the navigation key, and press to select. Setting a fixed length for your labels The LENGTH function allows you to set a fixed length for the complete label (the leader, the text and the trailer). Text is always centred on a fixed length label. 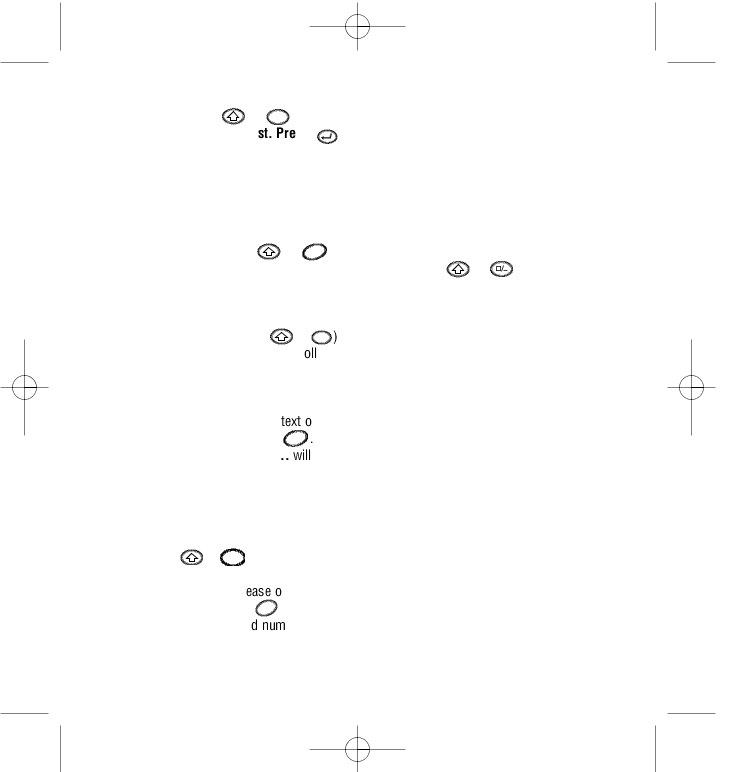 T fixed length, press LENGTH ( +EZIS). The fixed length indicator wi ghlighted. For fixed-length labels, the text is always centred. The unit used depends on the language set-tings, and will be in mm or inches. You can increase or reduce the length settings in steps of 2mm or 0.1 inches, by using theH orParrow on the navigation key. The display will show the selected length either asXX mm, or asX.X, if the units are inches. The maximum length is 300mm or 12inches. The display will flashERROR 5if you try to make the label shorter than the text. 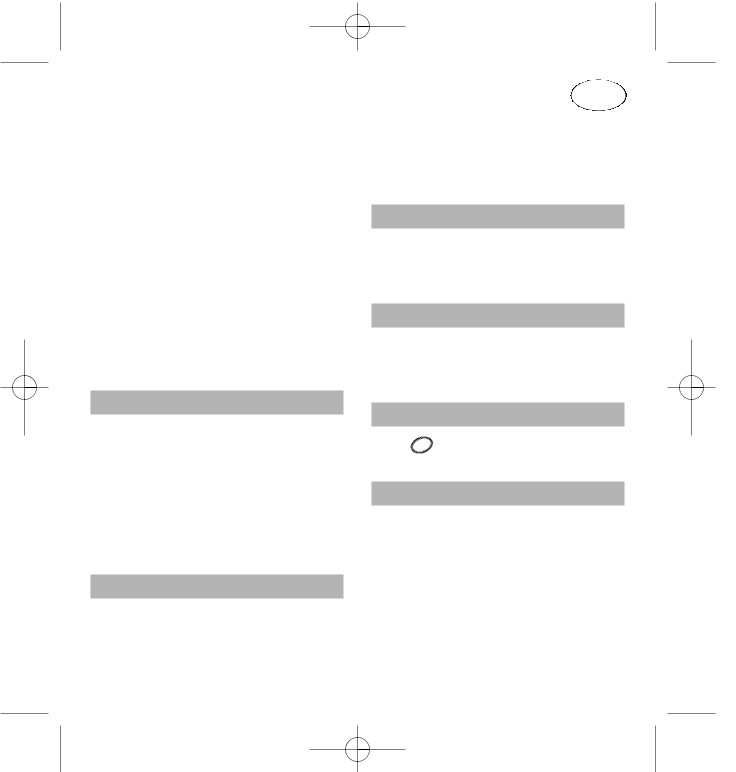 To return to the automatic length mode, press LENGTH ( +SIZE) again, and the machine will return to the automatic length setting. To exit from a menu PressELACCNto exit from a menu or cancel an action (except printing). Note: if you want to change the language settings, press LANG ( +sapc) and scroll through the language li ss to select your language. Previewing your label(s) Before printing, you can preview the text you have typed. Press PREVIEW ( +INTPR), and the label will scroll over the display once. Reviewing the text in the buffer You can also review all the text stored in the LetraTag buffer. Press REVIEW ( +CANCEL, and the entire text of the buffer will scr across the display. Printing a label Make sure the cursor is inside the f the label you want to print, and pressRINTP During printing the messagePrint.be displayed. Printing multiple copies of a label Your LetraTag can print up to nine copies of a label. To print more than one copy of your label, press COPIES ( +LYETS). The message n=1will appear on the display. UseHorP on the navigation key to incr r reduce the number of copies. PressPIRTNwhile in this menu to print the selecte ber of copies. When printing multiple copies of a label, a vertical chain mark will be printed between the labels. Cutting your label The cutter button is on the left of your machine. To cut a label push the cutter inwards (Fig E). The label backing is split down the middle for easy removal. Feeding extra tape through Press FEED ( + ) to feed a short section (12mm, 1/2 inch) of blank tape through the mechanism.